As the CICLOPE 2016 Festival drew to a close on Friday night, it celebrated with the CICLOPE Awards, announcing the category winners for some of 2016’s best industry work. It is with great pride that The Mill announces three wins across a variety of categories. 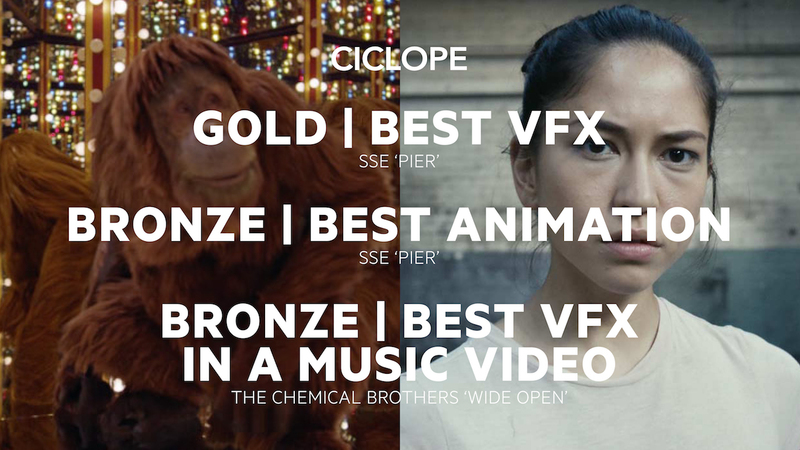 SSE ‘Pier’ achieved both a Gold for Best VFX and a Bronze for Best Animation, whilst Chemical Brothers ‘Wide Open’ was also awarded Bronze for Best VFX in the Music Video category. It was also fantastic to see some of our collaborators win in other categories. Rattling Stick won both a Silver in the Cinematography category and a Bronze for Direction with 'Audi ‘Duel’ which The Mill LA studio worked on. Stink were also awarded a Silver with Save The Children, ‘Most Shocking Second Day’ for Direction for which Mill Colourist Oisin O’Driscoll graded the viral video. Congratulations to all the winners on what was a truly great night!